What do Netflix (Nasdaq: NFLX), Amazon.com (Nasdaq: AMZN) and senior housing providers like Benchmark Senior Living have in common? They’re all using predictive analytics to meet their respective goals. In the case of Netflix, the goal is to correctly guess consumers’ viewing preferences. For Amazon, it’s to drive sales by suggesting appealing products for specific people to purchase. At Benchmark Senior Living, the goal is to increase staff retention, and consequently reduce turnover. Benchmark on Wednesday announced it is joining other senior living providers in partnering with Baltimore-based Arena, a firm that specializes in using data analytics to help health care organizations hire employees who will stick around for the long-term. Coincidentally, Arena uses some of the same technology as Netflix and Amazon to accomplish this, Arena founder and CEO Mike Rosenbaum told Senior Housing News. Lowering turnover is a major goal of many senior housing organizations, especially given that the national assisted living turnover rate stands at 31%, according to the most recent Assisted Living Salary & Benefits Report from the Hospital & Healthcare Compensation Service. But the task is made more complicated by the fact that roughly 65% of caregivers are “always looking for a better job,” according to recent research. Arena has managed to reduce turnover by a median of 38% across all of its health care clients, and at senior living providers, “the numbers tend to be higher than that,” Rosenbaum said. In fact, Arena essentially promises that it can reduce senior living organizations’ turnover by at least 10%. Arena signed its agreement to partner with Massachusetts-based Benchmark at the end of December 2017, according to Rosenbaum. Implementation began this January, and Arena plans to “go live” with Benchmark in April, according to Veronica Barber, Benchmark’s senior vice president of human capital. 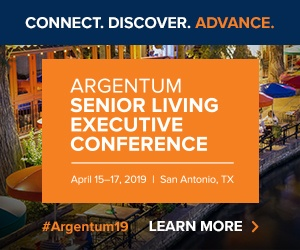 Benchmark was inspired to reach out to Arena when it learned about the results Sunrise Senior Living had seen using Arena’s predictive analytics platform. Specifically, at the Virginia-based senior living provider, hires who go through Arena’s system are turning over at rates much lower than new employees who did not go through Arena’s system, or who were hired despite the fact that the analytics did not label them a good fit. “We felt so comfortable, given the Sunrise pilot and the outcomes that they saw, that we decided not even to take a pilot approach,” Barber told SHN. Essentially, Arena collects data from three different buckets. First, there’s third-party data, which refers to “all of the data out there in the world on somebody,” according to Rosenbaum. Then there’s application data, or what employers would find on an applicant’s resume or cover letter. Lastly, there’s data collected when an applicant takes a survey of sorts. The technology Arena utilizes is the same as the technology Amazon uses to predict exactly what visitors to its website would like to buy, and the technology that Netflix uses to predict what its users would want to watch next, according to Rosenbaum. Instead of predicting customers’ shopping or viewing preferences, though, Arena uses this technology to determine what type of worker a job applicant will be in a senior living setting. “We’re generating predictions of the likelihood of particular things happening for particular job applicants,” Rosenbaum said. Benchmark’s hope is that the Arena system will help the provider hire and retain employees who are a good fit culturally and skill-wise. Still, the Arena system isn’t bound to be 100% foolproof, Barber implied. “I think the barriers for this type of technology are more around accessibility,” she explained, noting that people who speak English as their second language, or who aren’t fluent English readers or writers, may have some difficulty using the system. At the same time, Benchmark is supplying its communities with tablets so that individuals who walk into a community to apply for a job can use the Arena system, she said. Arena currently has a fairly small client base in the senior care industry—but according to Rosenbaum, that’s likely to change soon. “Our total number of [senior living, long-term care, rehab and hospice] clients is fewer than 10, but all of our clients are large,” Rosenbaum explained. Additionally, Arena currently has “a bunch” of senior living partnerships in the works. “I would guess in the next 30 to 60 days there will be a handful of other clients that will go public,” Rosenbaum said.